With its bright red color, Red Velvet Cake always invokes a reaction. 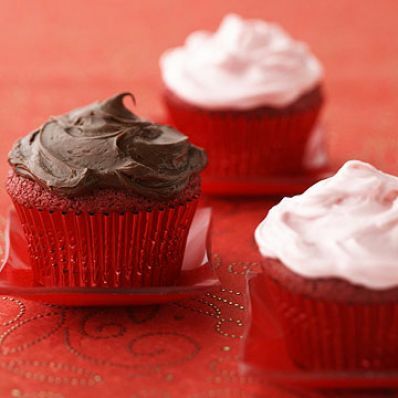 For more fun, turn this chocolate cake recipe into cupcakes by baking the batter in muffin cups. 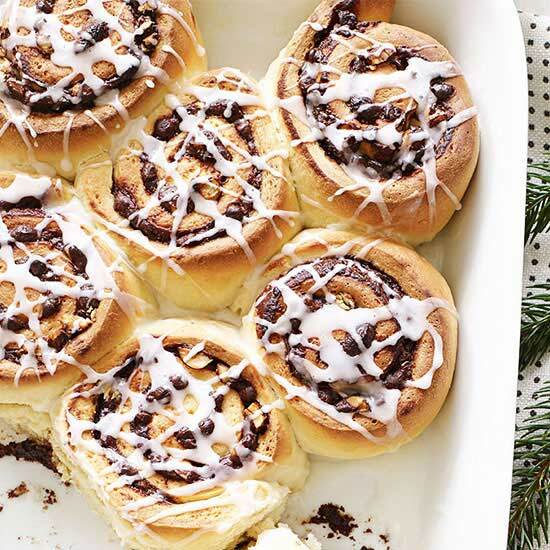 Frost them with chocolate or vanilla icing, or some of each. 1 of 4 Line standard-size muffin pans with 18 cupcake liners. Heat oven to 350 degree F.
2 of 4 In a large bowl, whisk sour cream and oil (it will look curdled). Sift flour and cocoa powder into the bowl. Add sugar. Beat until just moistened. Add eggs and beat on medium-high for 2 minutes, until smooth and fluid. Stir in bottle of food coloring and vanilla. Fill liners 2/3 full. 3 of 4 Bake cupcakes at 350 degree F for 22 to 25 minutes or until toothpick inserted in center comes out clean. Cool in pans on wire rack for 10 minutes; then remove cupcakes and let cool completely on rack. 4 of 4 Tint vanilla frosting light pink. Frost half the cupcakes with chocolate icing, half with pink icing. Chill slightly before serving. Makes 18 cupcakes.